I needed to deposit some cash I had at home and was looking for the nearest Emirates NBD ATM machine. Luckily enough, I found one very close to where I was: Almas Tower in JLT. I know Almas tower and remembered that at the ground floor, very close to the ATM machines there is a Cafe Nero bar. I was slightly hungry and decided to stop at the cafe to enjoy a light meal. Among the various sandwiches, salads and croissants available, I chose a turkey ham with cheese and mustard toast that looked light and tasty. I asked the waiter to make it warm and sat at my table. 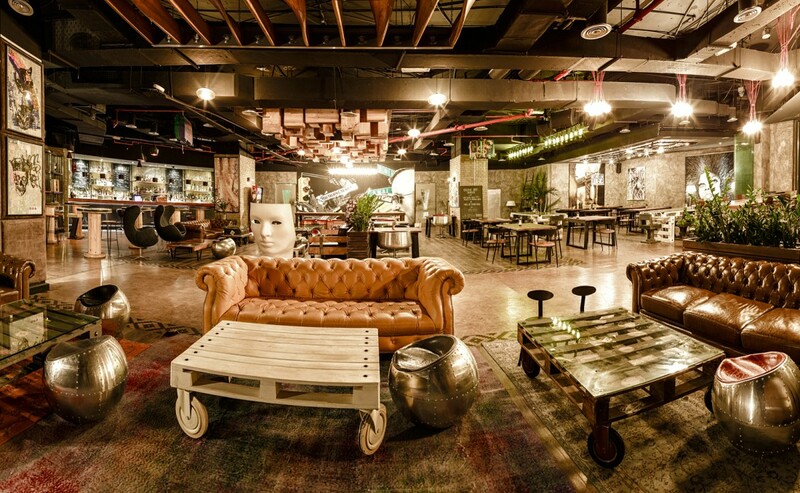 The staff is very polite and attentive and the bar is one of the cleanest I have ever seen in Dubai, with a person continuously dusting and mopping the floor and cleaning tables and chairs. Few minutes later my toast came and was surprised in noticing the huge amount of melted cheese that was leaking from the sides of the supposedly-italian-panino. I needed to cut it in half to handle it and the quantity of melted cheese coming out was ridiculously huge. Cafe Nero Turkey and Cheese Sandwich is really good even though the amount of mustard cheese is excessive. The taste was great. The mustard rich cheese was really yummy and perfectly combined with the turkey ham and the crunchy toasted bread. The only problem is that I had to eat the sandwich and then to clean the plate from the abnormal quantity of cheese that was left. If you have a cheese passion, this is the right sandwich for you. 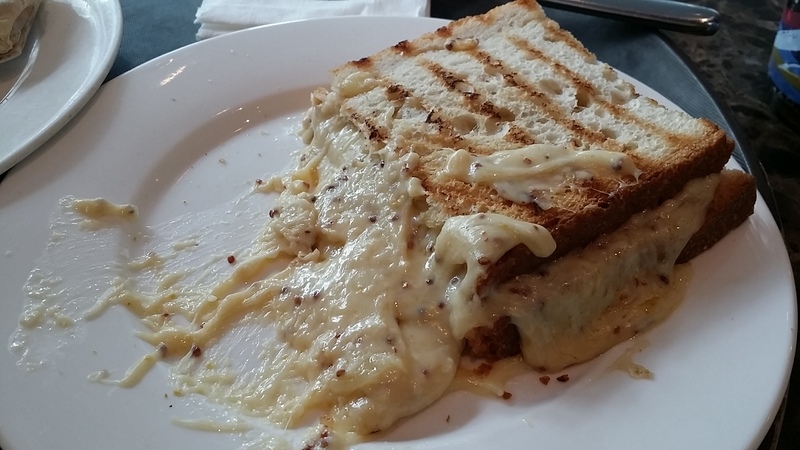 This entry was posted in Dubai, Food, Food Explorer, JLT, Restaurant, Restaurant Review and tagged Bar, Cafe Nero, Caffe Nero, cheese, Cheese Lovers, Cheese Sandwich, dubai, Food, food lovers, Foodaholic, JLT, Panino, Restaurant Review, Snack on August 2, 2015 by andreadetto. I often travel to Abu Dhabi for work. Last time I had to join our Project team in Yas Island and took the opportunity to visit the brand new Yas Mall recently inaugurated in Yas Island. The Mall is huge and nice, with a lot of shops and brands available. I was there just for lunch and therefore I walked straight until I found the right restaurant where to have a light but tasty meal. I passed by the common Paul, Le Pain Quotidian, Giraffe and other well known chains. I found also many unknown (at least to me) restaurants of different origin: Indians, Asian and Italians. Among those, I opted for Al Forno, an Italian restaurant that looked authentic, the name of which means ‘by the oven’. 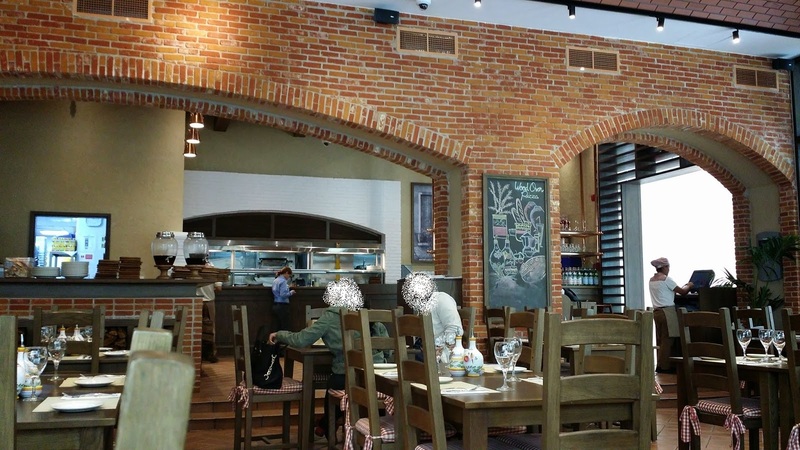 With red brick walls, tables with a red and white table cloths and Italian traditional music, it looked like an Italian ‘Trattoria’, a place in where the food is usually home-made with high quality ingredients and usually cheaper that other restaurants. Al Forno restaurant looks really like an Italian ‘trattoria’. The service was excellent. I was welcomed in a very polite way and the staff members were very attentive and ready to assist. I had a nice ‘focaccia’ as complimentary starter and then I opted for a cheese bread and hammour fillet with lemon and pesto sauce. I was curious to see if the place was a real Italian restaurant or one of those looking-like-Italian restaurant that serves meals that in Italy do not even exist. Focaccia is a traditional dish from Genoa. The focaccia they brought as complimentary appetizer, exceeded my expectations. It was really similar to the original one and I have enjoyed it very much. It comes with olive oil and balsamic, a thing that in Italy you will not find since it is oily enough to be perfect to be eaten alone. The cheese bread was actually a small pizza with cheese. The dough was incredibly good and perfectly cooked. Again I was really positively surprised by the good quality and taste of the food. However, focaccia and pizza might be very simple to make. You just need some good quality flour (and let me say that here in the Emirates the average flour quality is not that great), water (the dough quality is indeed affected by the water quality) and know some tricks in mixing the ingredients. A different story is the main course that needs some specific preparation and ability. I was anxious to try the hammour with lemon and pesto sauce and roasted potatoes I have ordered, because it could have been the celebration of a great restaurant or another big disappointment. The plate was very well presented and the food was of a good quality. The hammour was not the top quality selection and honestly I was expecting something more tender and juicy, but the taste and consistency were alright given the price paid for the meal. Indeed, at the moment of paying the bill, I had no bad surprises. I paid 100 AED for a cheese bread, hammour, water and a single espresso. A very convenient deal if we consider the overall quality of the food and the service provided. If you are in the Yas Mall and want to try an Italian meal, Al Forno seems to be the right place for you. The restaurant is family friendly. This entry was posted in Abu Dhabi, Restaurant, Restaurant Review, United Arab Emirates and tagged Abu Dhabi, Focaccia, Food, food lovers, Foodaholic, Foodie, Hammour, Lunch Break, Pesto, Restaurant, Yas Island, Yas Mall on July 27, 2015 by andreadetto. During the weekend, that here in Dubai falls on Friday and Saturday, we like to try different restaurants and places to get out of the usual routine. Last weekend we tried a relatively new restaurant called Tr!beca Kitchen and Bar in JA Ocean View Hotel, in JBR. The restaurant is getting popular because it is an NYC-inspired farm-to-table restaurant that serves organic products and also a lounge bar to enjoy drinks with friends. 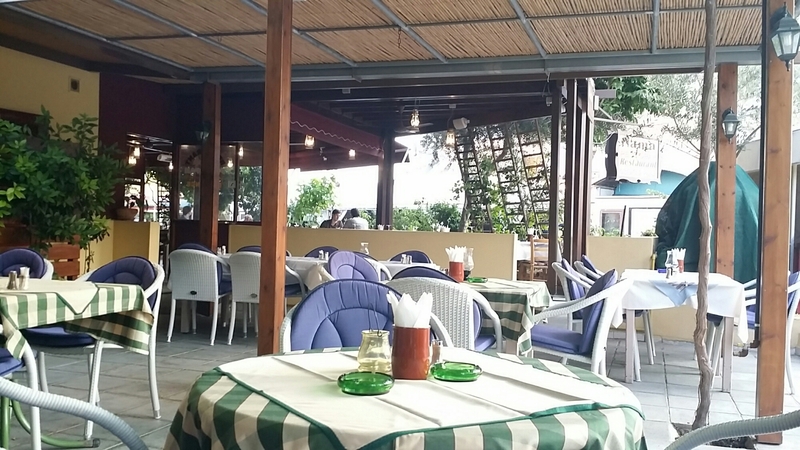 The restaurant is nicely decorated with a mix of wooden and metal furniture to give the customers that cozy feeling that place your mind on the perfect mood to enjoy a nice evening either you are solo, a couple of a group of friends. The menu is alright with starters, salads, main courses (1 chicken option, 1 fish, 1 lamb, 1 beef option, eggs and halloumi just to make everybody happy), a Little Italy section and desserts. I opted for a Cajun Chicken and the others got a salad with quinoa, stewed lamb and salmon. As desserts, I shared a Tiramisu with my partner and our friends got a cheesecake with passion fruit jam or compote and almond crumble. 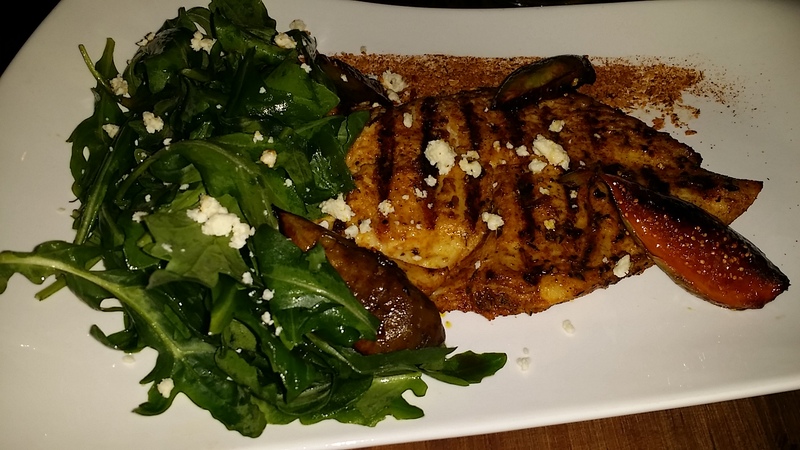 After 20 minutes, a waiter approached me informing that the Cajun Chicken wasn’t anymore served in the restaurant since they have recently switched to a honey grilled chicken with caramelized figs, cheese and rocket salad (aka rucola or Arugola). I was surprised that they required 20 minutes to process the order but in any case I accepted the switch since it seemed quite interesting the proposed substitution. With our great surprise, the meal was ready and they served it immediately after my clearance. The question is: what if I had said No? They would have been forced to serve the meals to the others and let me wait for other 20 minutes? This time they have risked a little but they have rightly guessed the answer I provided. The combination of flavors ad texture is excellent and the chicken was really tender. The only bad thing is that the chicken was really peppery and the decorative powder on the side of the plate was pepper as well. If you do not like spicy food, you might want to ask to have the chicken with little or no pepper. The portion is enough if you are not that hungry or if you had some appetizers before. If you are starving, the chicken alone will not fill your empty stomach also because it comes without bread or any other side dish that you have to order separately. The desserts were really nice. The Tiramisu with Marsala was really yummy and really close to the original one that my mom use to make. The steamed cheesecake was also superb as our friends confirmed. We had a nice dinner and spent some enjoyable time together, however the restaurant is a bit pricey. I think it is because of the massive presence of organic ingredients, but the chicken breast was almost 150 AED (41 USD), definitely too expensive to go dine there more than once in a while. 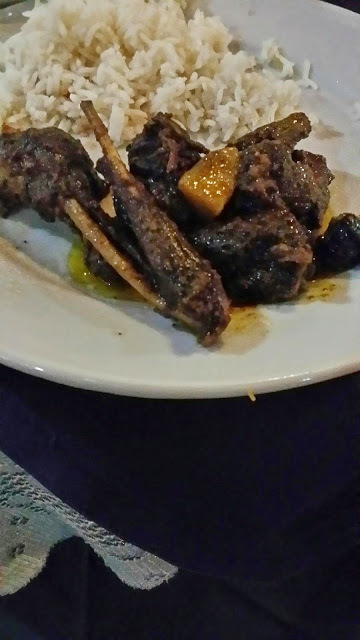 This entry was posted in Dubai, Food, Food Explorer, Restaurant, Restaurant Review, United Arab Emirates and tagged Chicken, dubai, Food, food lovers, Foodaholic, JBR, Organic, Restaurant, Restaurant Review, Tr!beca on July 26, 2015 by andreadetto. We stayed few days in Seychelles to recover from the frenzy life style in Dubai and enjoyed some peaceful moment in this tropical paradise. We enjoyed the beach, nature and meals in one of the best resort on Mahe island (Constance Ephilia Resort) but the last day we decided to give a try to one of the most recommended restaurants in Victoria with a good reputation about Creole cuisine (the local one). 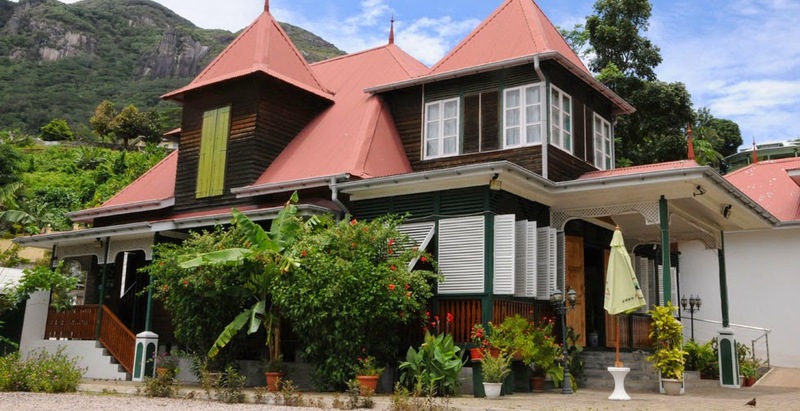 The restaurant is located in an old colonial house in a quiet neighbourhood at few minutes walk from the city centre. If you come from the north part of the main island, it is pretty much on the way to the airport and as such it is very convenient to escape the routine dinners in resorts and hotels to try something different before flying out the archipelago. The menu is very minimal even though includes all the local food you might want to leaving the place. The recommended one is the fixed price menu that allows you to taste a bit of everything for a very reasonable price if compared to what you are most probably going to pay in the hotels’ restaurants. 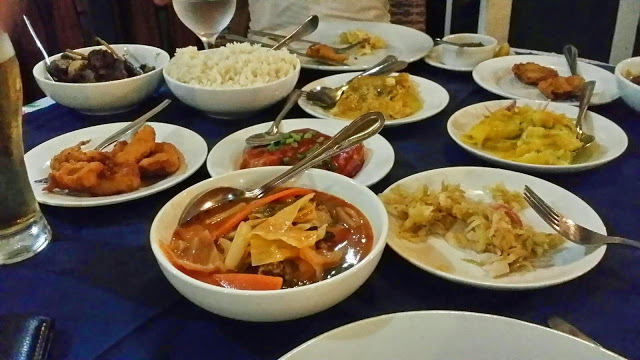 For just 295 SCR (Seychelles Rupees – something like 22 USD) we enjoyed a 8 courses dinner with Papaya chutney, Fish and vegetable soup, tuna steak, battered parrot fish, fried aubergines with coriander, mango salad, grilled fish, chicken curry and steamed rice. Even though the food was already prepared, in fact we received it within few minutes after our order, everything was very tasty and with the right texture and consistence. If it is your first time travelling in this area of the world, get ready to be exposed to a certain level of curry, pepper and coriander that are regularly added to your food. Different story is a hotel restaurant that prepares its food to be similar to the western-like taste. The Stewed Fruit Bat at Marie Antoinette is superb! If you think that a fried parrot fish and a mango salad are too ordinary for you and you consider yourself a ‘food explorer’, then the stewed fruit bat is what you might want to try. The island is rich in this animals that eats exclusively fruits and fly all day long from a tree to another without disturbing/being disturbed by the tourists massive presence. The bat prepared at Marie Antoinette is superb and I am confident you will find yourself considering ordering an extra portion. It tastes like game or goat but the meat consistency is slightly different. Try it with a good local beer and I am sure you will thank me for the suggestion. If eventually you do not like it, at least you will have a nice photo to share in your favourite social media to get your friends and relatives astonished comments like “WTF?”, “what next? a rat?” and the like. After the massive dinner, we had some caramelised local bananas and then we asked for the bill. Well no major surprises, we spent something like 995 SCR (76 USD) in two that was cheaper than the standard dinner at our hotel (always around 1,500 SCR). Just remember that the taxis are very expensive and as such it would be expensive to hire a cab with the only purpose of having dinner at this restaurant, unless you are very close to Victoria or you need to go there for any other reason. The management and the crew were very attentive and polite and helped us to feel at home since the first moment we stepped in. 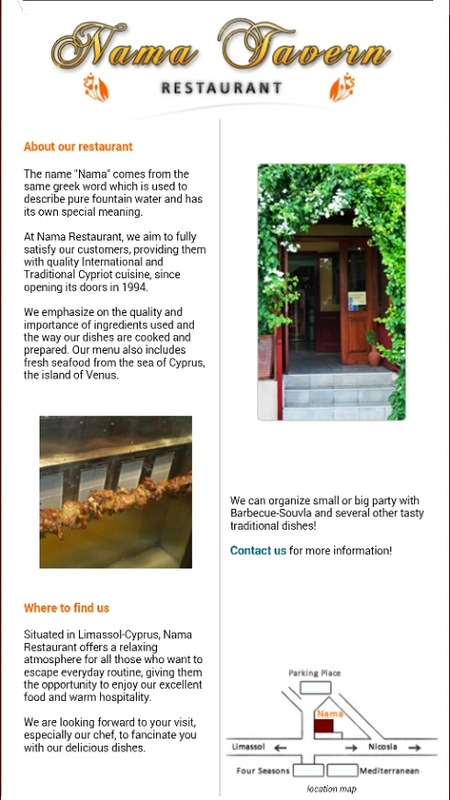 The restaurant has also its own website for further information. This entry was posted in Exploring, Food, Food Explorer, Holiday, Restaurant, Restaurant Review, Seychelles, Travel and tagged Food Explorer, food lovers, Foodaholic, holiday, Restaurant, Restaurant Review, Seychelles, Stewed Bat, travel on July 17, 2015 by andreadetto. On our last day in Limassol, we wanted to break the hotel routine and enjoy a dinner somewhere in town. We were not feeling like going to far, hence we looked for aome traditional restaurant close to our hotel. We checked on TripAdvisor and he internet and found a potentially good restaurant just next to us. We arrived there at 6.30 pm after a long walk to Aphrodite’s Acropolis that is located in Amathous, 2 km from our hotel. We were exhausted and famished and couldn’t wait to enjoy a nice and relaxing dinner. We were welcomed in an empty restaurant (6.30 pm is not really the common dinner time here) by the owner, a friendly and polite man that made us feeling like home. We picked a table in a beautifully maintained veranda and ejoyed the calm atmosphere also offered by the plants and flowers cultivated by the owner (like grapes, jasmin and others). 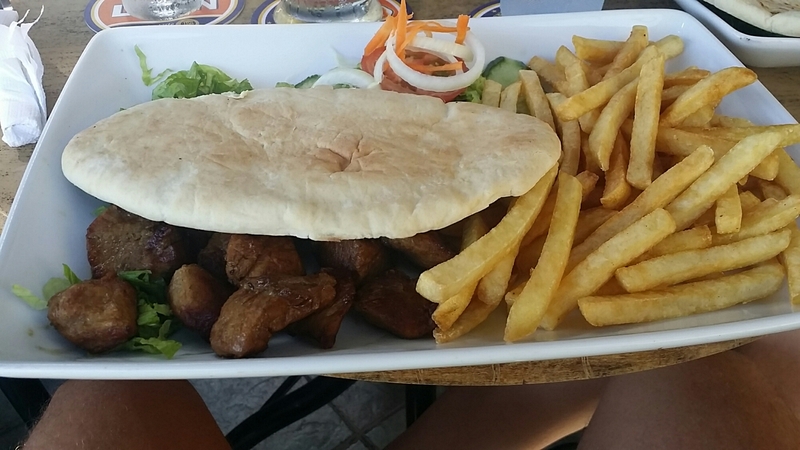 We asked the owner to bring us a KEO beer and some water and proceed very slowly with a meat meze, one of the traditional Cypriot dishes. The meze are sharing platters that usually include tzatziki sauce, a greek salad, tashi sauce, beetroot, grilled halloumi cheese, pork suvlaki (skewers), chicken suvlaki, sausages, pork loin, pork/lamb chops, grilled potatoes, wine leaves and many other things up to a total of 18/20 small plates to taste with warm pita bread. The service was excellent, very attentive and polite. As requested, they served the meze very slowly and allowed us to enjoy our food for almost 2 hours. Just note that the food is enough for 2 very hungry people, therefore do not spoil you appetite with appetizers. At the end of the dinner, they brought us a piece of local dessert, a kind of cheese backlawa and a good portion of local watermelon. Everything was yummy. The meze is slightly less than 20 euro per person and in total we paid 47 euro, drinks included. Very reasonable price given quality and quantity of food. Surely recommended for a good meal in a nice location with a great service. 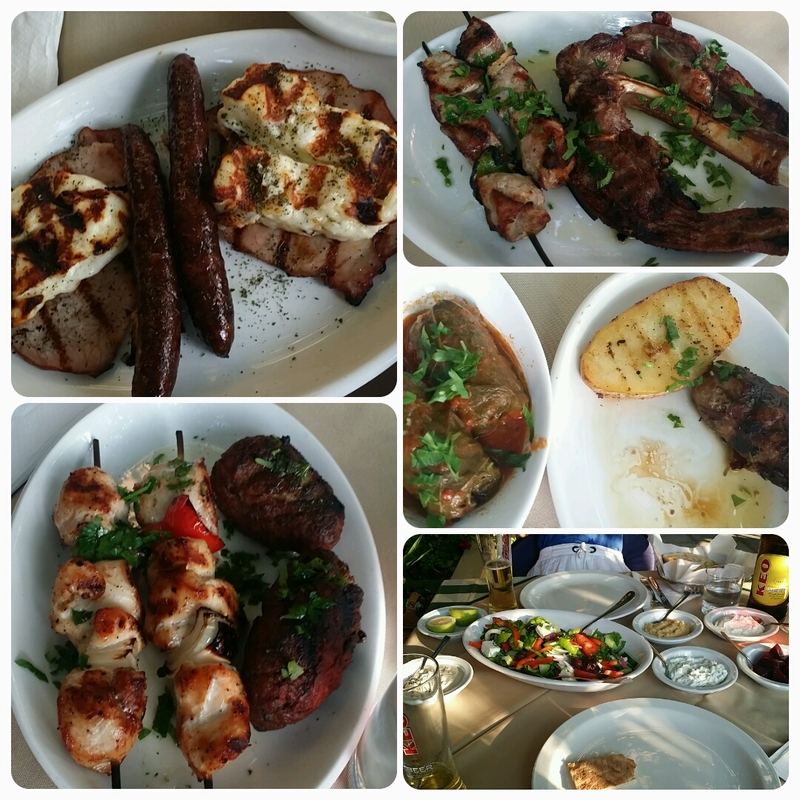 This entry was posted in Cyprus, Food, Restaurant, Restaurant Review, Travel and tagged Cypriot meze, Cyprus, Food, food lovers, Foodaholic, Limassol, Meat Lovers, skewers, Suvlaki on July 10, 2015 by andreadetto.